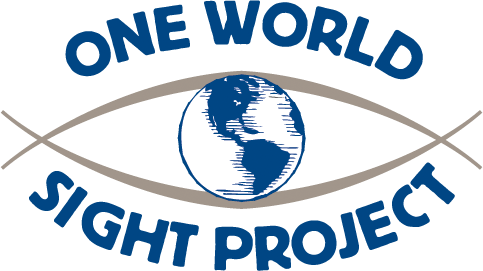 Blindness FAQs – One World Sight Project, Inc.
More than 50 million people in the world are currently blind. Almost half of all blindness is caused by cataracts. Any plan for elimination of blindness in the world must deal with this problem. No one is immune to cataract. The longer each of us lives, the greater the chances of becoming a victim of this disease. There are currently approximately one million free cataract operations performed annually, but there are 1.5 million new cases of cataract blindness occurring in the world’s indigent population per year. In other words, the world is slowly becoming more blind. The ultimate goal of this project is to eliminate the backlog of curable world cataract blindness and to strengthen or establish independent, effective, sustainable national ophthalmic health care delivery systems in every country of the world. Organization of the world’s volunteer eye surgeons will enable them to operate more effectively, and by facilitating transportation and accommodations, the volume of surgery performed will be greatly increased. We cannot rely solely on volunteerism or existing programs at current funding levels to eliminate this backlog of curable blind in the world, because our present rate of one million free cataractsurgeries per year must be tripled or quadrupled. Blindness creates serious economic and social problems for the individual, the family, the community, the nation, and the world. The cost of eye diseases and blindness in the US alone is $16 billion a year ($16,000,000,000.00). In the Himalayas eyesight is so crucial for survival that a blind person seldom lives longer than three years. There are approximately 400,000 Nepalese now living in darkness. The prevalence of blindness in Nepal is 20 times that of the U.S. and nearly half of the cataract-blind do not know that surgery can restore their sight. This emphasizes the need for public education campaigns as well as additional resource mobilization. In India there is a backlog of 6,000,000 totally blind. Fully 80% of this blindness is preventable or curable. Aravind Eye Hospital in southern India provides the highest volume of ophthalmic surgery in the world, and has restored sight to over 130,000 people in just ten years.6 Even at this rate, Aravind Eye Hospital will cover the backlog in 500 years, a fact that emphasizes the need for more immediate solutions. One goal of the OWSP is to replicate the successful Aravind model as a demonstration project in another area of the world such as Africa or South America. Cataract is responsible for almost half of the 7 million blind Africans. This means that three and a half million Africans are needlessly blind, and could be quickly and permanently cured if the proper resources are developed. Cataracts occur at a younger age in Africa and disables many Africans who are in the prime of life. Blindness in Africa carries with it a mortality rate estimated to be four times greater than those who can see. There are nearly as many eye surgeons in the San Francisco metropolitan area as there are in the entire continent of Africa. Some African nations haven’t a single ophthalmologist. In Mozambique, one person in a hundred is blind! Three major constraints make cataract treatment difficult in Africa:low level of health education; low population density; and a dramatic lack of trained manpower at all levels in the chain of eye care delivery, which is so severe that paramedical eye workers are currently being trained to perform cataract surgery! Similar conditions exist in parts of Asia, South America, and Central America. CATARACT – Cataract is an opacity of cloudiness of the lens inside the eye that prevents a clear image from forming on the retina in the back of the eye. When surgery is needed, rapid, full, visual rehabilitation is now available for the vast majority of patients with cataract. Click here for additional information on blinding cataracts. TRACHOMA – Trachoma is a severe, chronic, contagious conjunctival eyelid and corneal infection, caused by a virus, that leads to corneal clouding, conjunctival and eyelid scarring, dry eyes, and blindness. GLAUCOMA – Glaucoma is a painless, slowly progressive condition characterized by increased pressure within the eye that can result in irreversible damage to the optic nerve and retina, leading to blindness. This can be prevented with eyedrops or surgery. XEROPTHALMIA – Decreased vision and blindness is caused by a diet lacking Vitamin A. Xerophthalmia is the leading cause of childhood blindness, and is particularly tragic because blindness can be prevented by Vitamin A supplementation, which also increases survival. ONCHOCERCIASIS – Onchocerciasis is a systemic infestation by a nematode worm that causes severe ocular inflammation. Onchocerciasis is widely endemic in tropical Africa and in pockets of Latin America. It affects more than 20 million people and, in some communities, is responsible for blindness rates of up to 50 percent of the population. LEPROSY – Leprosy is a generalized communicable disease that often affects the eye with corneal and intraocular inflammation.